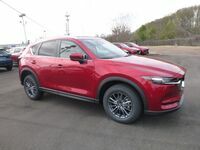 The trio of Mazda crossover SUV models available at the Gwatney Mazda of Germantown showroom covers a wide range of capabilities that customers may need. Of them, the Mazda CX-5 is special because it offers more available interior space than the manufacturer’s smallest platform but is also a bit more efficient and nimbler than the three-row model. Because of its small appeal, the Mazda middle crossover SUV has a lot of competition to deal with. 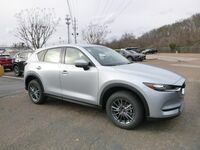 A comparison of the 2019 Mazda CX-5 vs. 2019 Toyota C-HR will very clearly illustrate how far ahead the Mazda vehicle is over its Toyota rival. 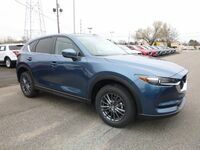 For the new model year, the 2019 Mazda CX-5 adds several new connectivity features and a pair of new trims that will extend its natural edge over the 2019 Toyota C-HR. Customers can schedule a test drive today by calling, 833-241-6312. 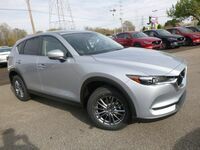 Without putting too fine a point on things, there are almost no areas where the 2019 Mazda CX-5 doesn’t outperform the 2019 Toyota C-HR. The level of connectivity a vehicle offers is only getting more important to vehicle buyers – especially in the crossover SUV segment of the automotive industry. For the new model year, Mazda has updated its infotainment system to be compatible with both the Apple CarPlay™ and Android Auto™ suites of applications. Buyers of the 2019 Toyota C-HR will only have half of that capability and are limited to Apple CarPlay™. Interior space will always be an important measuring stick for buyers looking for a new crossover SUV. Both the 2019 versions of the Mazda CX-5 and Toyota C-HR have space for five passengers, but the new Mazda CX-5 will be able to accommodate more cargo. 2.5-L, 4-Cyl. Engine 2.0-L, 4-Cyl. 59.6 cu.-ft. Max. Cargo Space 36.4 cu.-ft.
All available versions of the 2019 Mazda CX-5 can outperform all available versions of the 2019 Toyota C-HR. The new Mazda CX-5 offers two engine options for customers to consider. 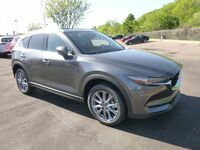 Base models of the Mazda crossover SUV use a naturally aspirated version of the SKYACTIV®-G 2.5-liter, four-cylinder engine making 187 horsepower and 186 pound-feet of torque. The competing and only powertrain available for the 2019 Toyota C-HR is also a naturally aspirated four-cylinder engine, but it only makes up to 144 horsepower. 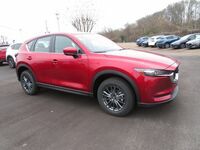 Mazda CX-5 owners can also opt for a turbocharged version of the base engine which will push the output to over 225 horsepower and as high as 250 horsepower.